One picture has one, the other doesn’t. Which one is before, which is after is what I was asking. 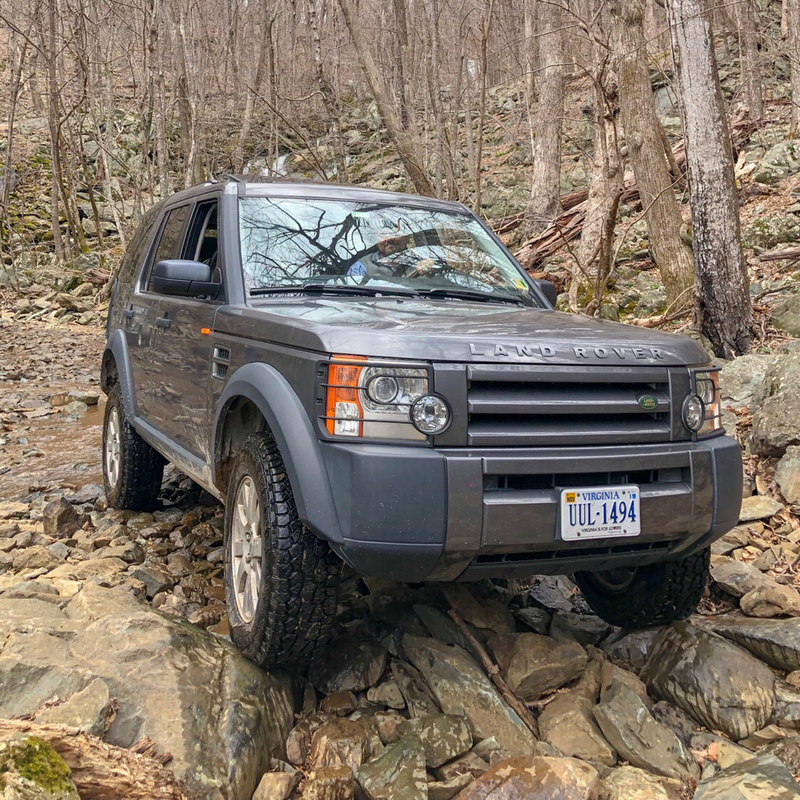 Neither, the photo to the left is my 05' LR3 which I had for 13 years and sold to my brother, the photo to the right is my new to me 16' LR4 which is the one I'm outfitting now. A little "skinned" up, but this is my slightly modified LR3....and growing! Wanted to check a noise under the car. Off road height and easy lift controller to max. Nice and easy way to check the underside. My flexi pipe is starting to split, time for a decat pipe. Picked this up in October, local one owner with 80k on the clock. Almost completely stock, 255/75/18 hankook dynapro ATM, 1.5” IID lift, prospeed ladder, added factory HIDs, in process of adding factory fogs and a facelift steering wheel.